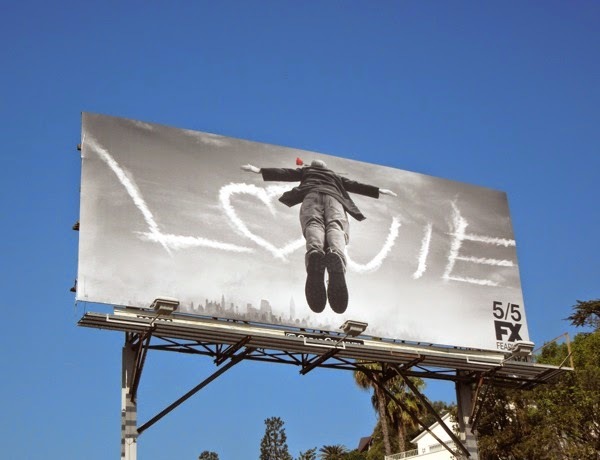 Are you ready to dive headfirst into the fourth season of Louie on FX? 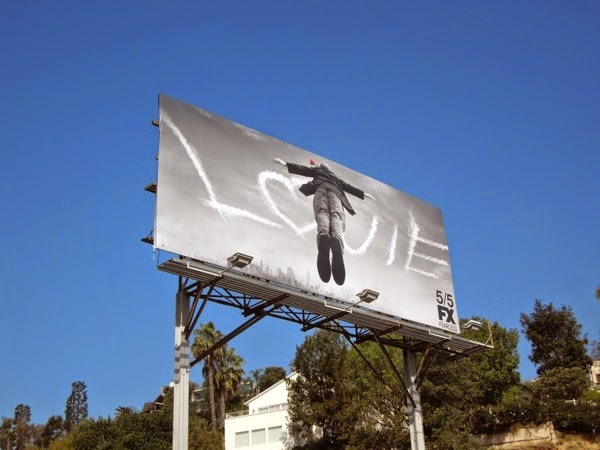 The real question here is, is funny guy Louis C. K. romantically falling head over heels in love with that red rose in his mouth, or is he diving suicidally off a New York bridge. Is he contemplating life or love? The comedian's series returns from a long hiatus during which he concentrated on his stand-up comedy tour and made history by receiving the first Emmy Award nomination for an Outstanding Comedy Series on a basic cable network. 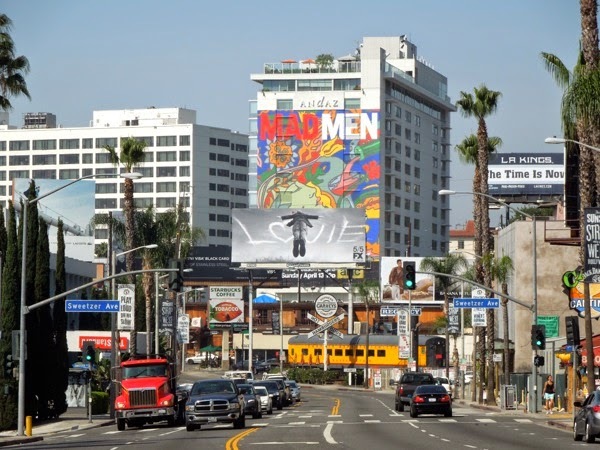 Now he's back playing the fictional version of himself, as he navigates his hectic life as a dad and comic in an all-new fourteen episode run, airing two episodes back-to-back for seven consecutive weeks from May 5, 2014. 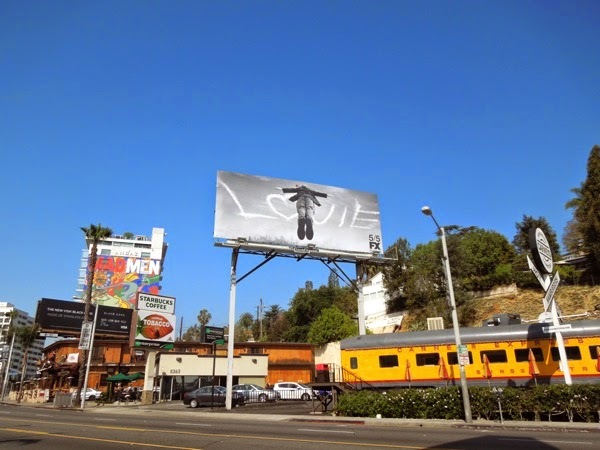 This striking and compelling black and white billboard for season four of Louie, with the show's title in skywriting and New York City skyline in the distance, was snapped along the Sunset Strip in West Hollywood on April 21, 2014. 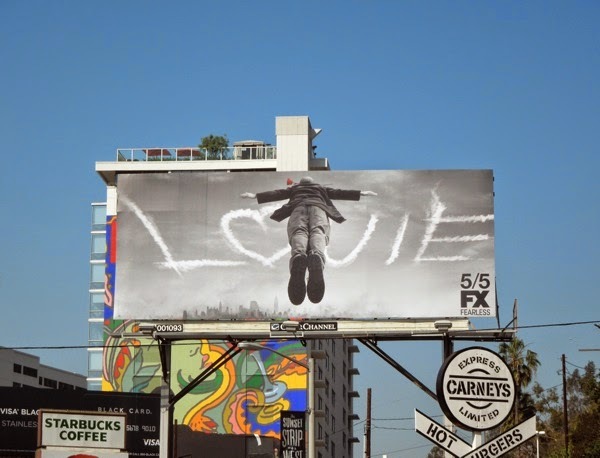 If you're a fan, be sure to also check out these Louis C. K. HBO comedy special billboards and his Emmy Award nomination billboards for Louie from 2013.